An ambitious and unforgettable epic novel that spans a hundred years of Guatemala's tumultuous history as experienced by four American women who are linked by the mysterious disappearance of a little girl In 1902, a young girl watches her family's life destroyed by corrupt officials and inscrutable natives. In 1954, the wife of the American ambassador becomes trapped in the intrigue of a cold war love affair. In 1983, an evangelical missionary discovers that the Good News may not be good news at all to the Mayan refugees she hopes to save. And in 1999, the mother of an adopted Mayan daughter embarks on a Roots Tour only to find that the history she seeks is not safely in the past. Kelly Kerney's novel tells a powerful story that draws on the history of Guatemala and the legacy of American intervention to vividly evoke The Land of Eternal Spring in all its promise and all its devastating failures. This is a place where a volcano erupts and the government sends a band to drown out the sound of destruction; where a government decree reverses the direction of one-way streets; a president decides that Pat Robertson and Jesus will save the country; and where a UN commission is needed to determine the truth. 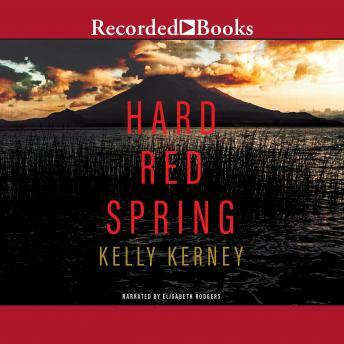 A heartrending and masterfully written look at a country in perpetual turmoil, Hard Red Spring brilliantly reveals how the brutal realities of history play out in the lives of individuals and reveals Guatemala in a manner reminiscent of the groundbreaking memoir I, Rigoberta Menchu.